A new urban fantasy saga by the creator of the popular Tinker contemporary fantasy/SF series. 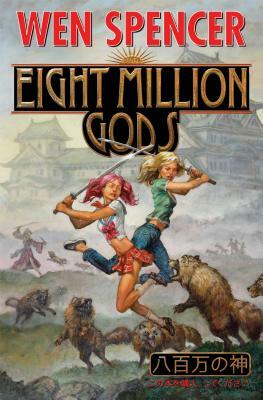 A young American expat writer in Japan suffering from OCD tries to figure out if she's crazy or not while solving a murder that may be part of a war among Japanese deities. One Saturday afternoon, Nikki Delany thought, "George Wilson, in the kitchen, with a blender." By dinner, she had killed George and posted his gory murder to her blog. The next day, she put on her mourning clothes and went out to meet her best friend for lunch to discuss finding a replacement for her love interest. What Nikki does know for sure is that the bodies are piling up, her mother has arrived in Japan to lock her up for the rest of her life, she's written herself into her new book--and her novels always end with everyone dead.